One of the hardest parts of doing this February challenge is learning how to read labels to find ingredients that may be on the “no” list. It’s really nice when the manufacturers make it easy and label a package as gluten or lactose free. Of course, that doesn’t always happen so you have to have an eagle eye. I look for basics like: wheat, flour, semolina, etc. Thankfully the ingredients lists I’ve seen have been pretty straight forward. You can find a more comprehensive list here. I also found a super helpful list provided by New Seasons (kind of like Whole Foods) with a list of gluten and dairy free items. What about milk? I’m finding that it’s harder to find dairy-free items. Look for things that have milk, powdered milk, any word that contains “lactose” or some variation in it, whey, casein, to name a few. Those aren’t the only no-no’s. This list has them all. As you can see, it can be mind-numbing standing in a grocery store trying to read teeny tiny labels with a bunch of words you don’t understand. But going in with a few keywords will really help. I’m definitely getting better at it but I wouldn’t say it’s fun. It’s still pretty frustrating trying to find a needle in a haystack. Michael picked up some chips at Costco this weekend that are freaking good! They are gluten and dairy free and totally addicting. 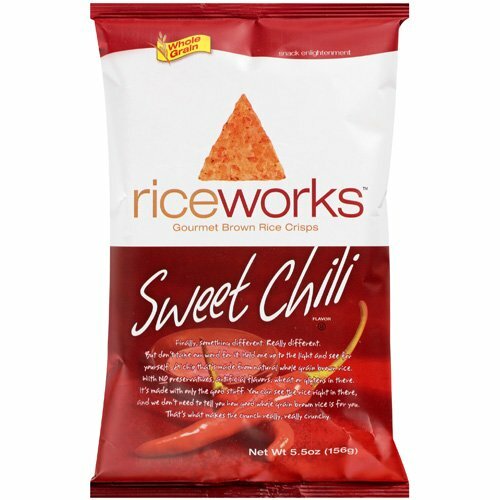 They’re called RiceWorks and they are made from brown rice. But they are crunchy and taste just like regular chips. We got the sweet chili flavor and I love it. In fact, I like them so much it may be a bad idea to have them in the house very often…if you know what I mean. By the time Sunday came around, all I wanted to do was make something homey in the crockpot. I had a recipe for black bean and chicken soup but it just didn’t have the pizzazz I was looking for. I found this recipe instead. It was super easy. 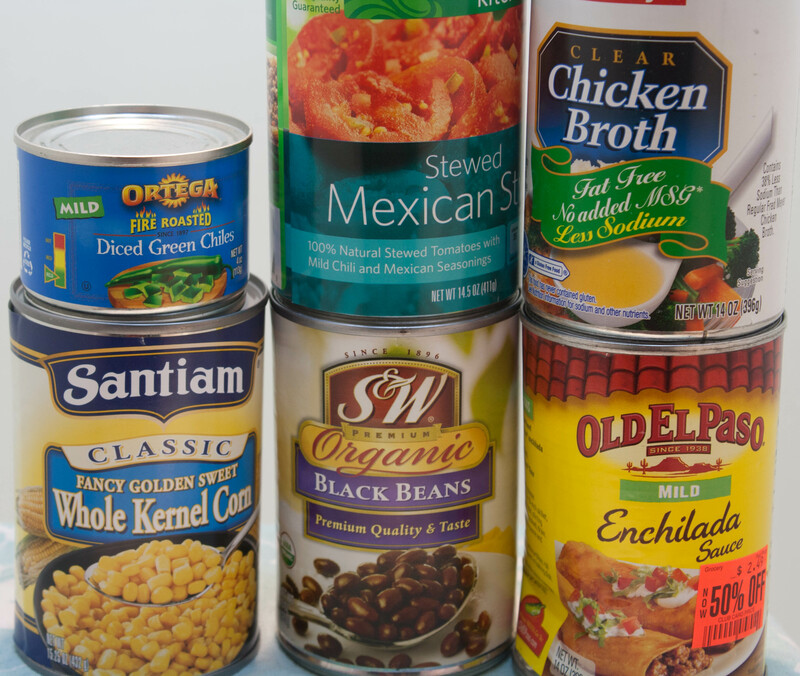 I love crockpot recipes where you simply dump ingredients in from a can. Place chicken, tomatoes, enchilada sauce, onion, green chilies, and garlic into a slow cooker. Pour in water and chicken broth. Season with cumin, chili powder, salt, pepper, and bay leaf. Stir in corn and cilantro. Garnish with fresh tortilla strips or tortilla chips. I added a can of black beans to the recipe and of course, a little more garlic than the recipe called for. Reading the comments of the recipe it seemed that the general consensus was that it was ok to put the chicken in raw or frozen instead of pre-cooking it. So that’s what I did. I also used canned corn instead of frozen because that’s what I had. I also bought small corn tortillas. 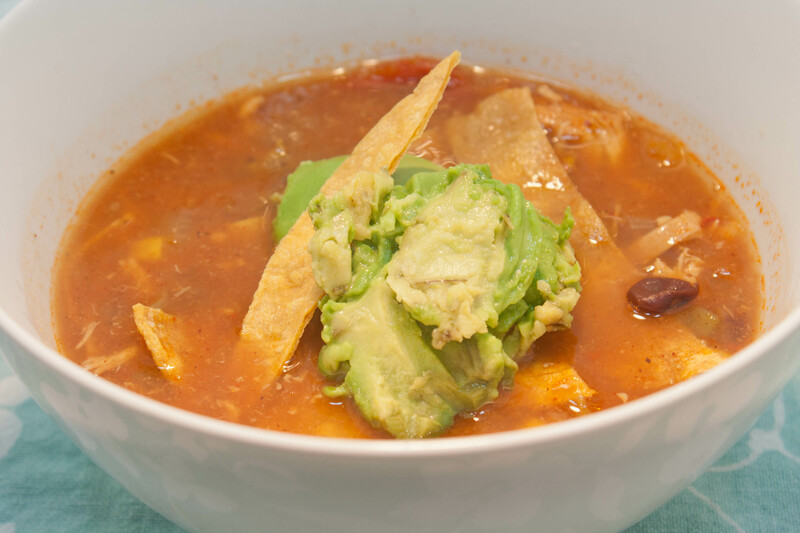 To make the corn tortilla strips, I used this recipe. The crunchy tortilla strips didn’t stay very crunchy very long in the soup, unfortunately. But it still tasted great. The soup was hearty and flavorful but not spicy. The chicken fell apart without much effort so it made shredding it very easy. I probably should have added a little more liquid to it since the chicken soaked up some of it. I really wish I could have put cheese and sour cream on top. I think it would have made the recipe even better. 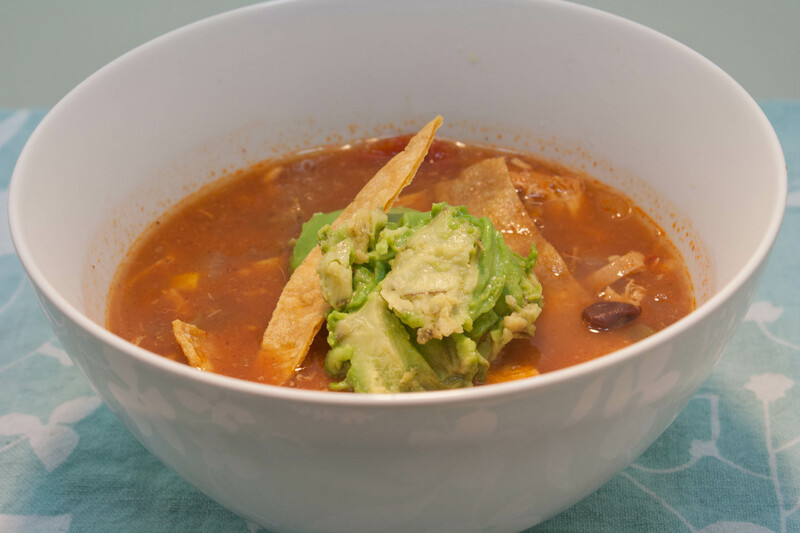 Despite that, I liked the flavors a lot and the avocado on top gave some great texture to the soup. I would make this recipe again but I want it spicier. Maybe adding some jalapenos? 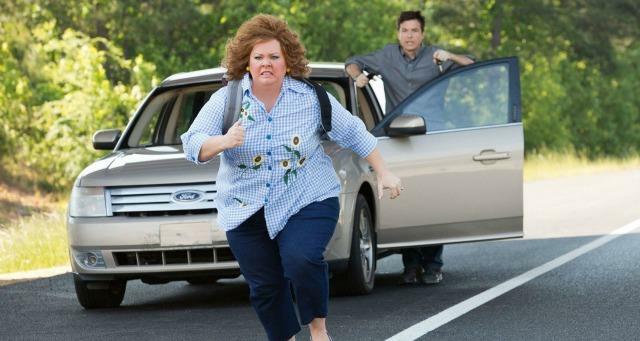 Finally, Michael and I saw “Identity Thief” this weekend. I really recommend it! It was a funny, cute movie. The plot was pretty clique and predictable but I still liked it. I love Jason Bateman and Melissa McCarthy is a scene-stealer in every movie she’s been in. Go see it! QUESTION: Are there any topics you wish I would write about? Lori recently posted..Snow and Mardi Gras Feast! I do too. I need to use mine more often. I don’t know WW points or how to calculate them. But the calories are between 450-550 depending on how many servings you make out if it, if that helps. That soup looks awesome! An easy way to avoid dairy and gluten is to just buy real food. Meat, veggies, that kind of thing. Anytime you get something in a package you’re taking your chances. Though I gotta say, those chili rice chips look mighty damn fine. Trevor recently posted..Week 5 on the Steak and Eggs Diet and . . . YES! Buying real food and eating lots of veggies and fruit definitely make the diet easier. The chips are great. Definitely give them a try! I liked it but it was a tad bland. It needed some spice! quick side note-it’s actually quite dangerous to put frozen chicken in a crock pot! The chicken stays in the temperature “danger zone” for too long, which can lead to food borne illness-eeeek! Good to know! I used defrosted chicken for this.